We have featured a number of great Lego models and creations her on Geeky Gadgets over the years. 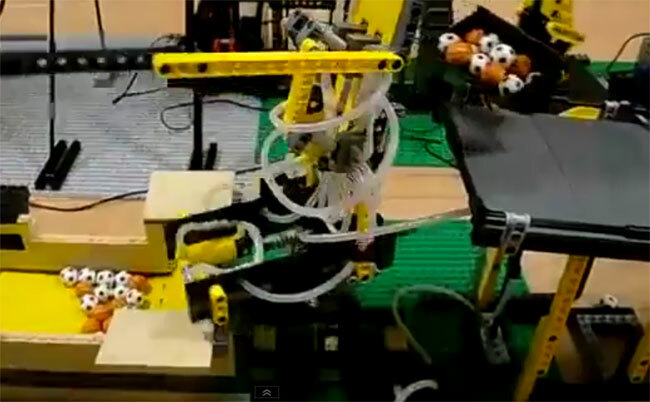 But over the holiday period YouTube user ctx0075, has created an awesome Lego machine. The awesome creation has been built to transport small footballs in a continuous loop. Easy you think? Check out the video after the jump to the entire machine in action. Including dumper trucks, conveyor belts and robotic arms, all working together to keep those balls moving. For more Lego creations check out our archives and older posts by clicking here. Enjoy! We also featured the amazing Lego construction of the Terran Battlecruiser, The Hyperion, from the popular StarCraft game.